Skyrocket Toys' newest creation gives "glow in the dark" a whole new meaning. 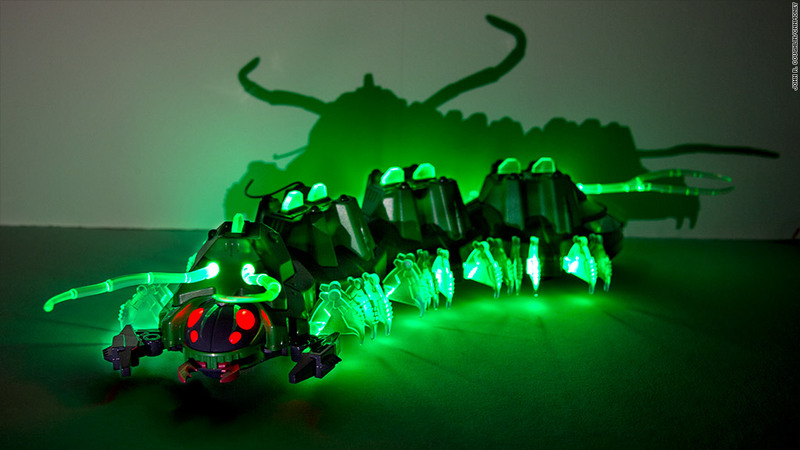 This 18-inch, slithering "Mecha-Pede" has 28 animated legs, blinking LED eyes and light effects that mimic the creepy-crawly movements of a real millipede. Small enough to crawl under a couch or sofa, the remote-controlled Mecha-Pede is hot on the tail of last year's hugely popular Mecha-Shark, which chomps its teeth as it "swims" across the floor to ominous music. "The light effects in our toys bring them to life and allow kids and adults to enjoy fantasy play," said John Ardell, co-founder of Skyrocket Toys.